This time of the season storms usually are due to heavy rains. The owner called SERVPRO of Central Glendale and we got there did and inspection. We started the very next day. This location was at a church in Pasadena, CA. The heavy rain cause the roof to have a little damaged. SERVPRO of Central Glendale came in and fixed all the damages. This location was in a Glendale home. The mold started to spread everywhere. The homeowners called SERVPRO of Central Glendale, once we got to the house we did an inspection. We started the next day. 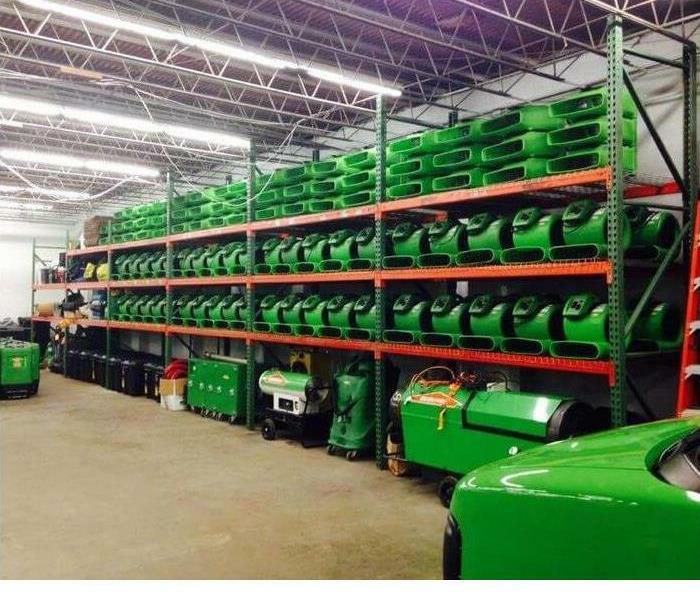 This was located in the Los Angeles area. 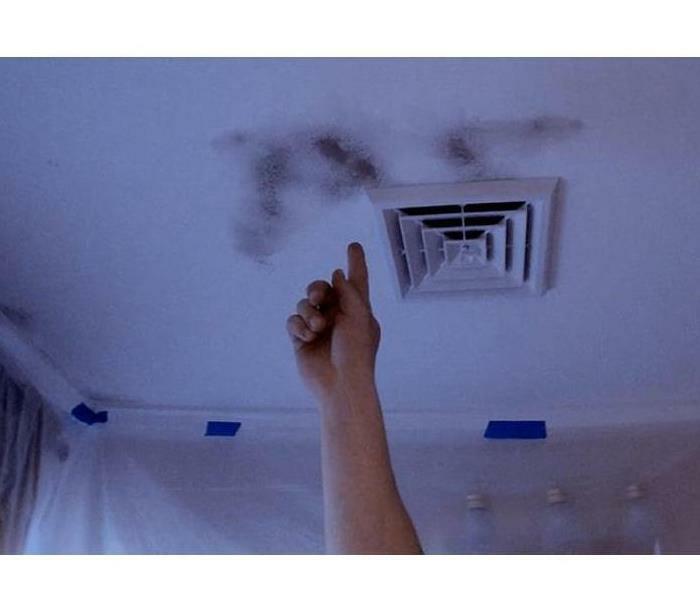 The mold spreads fast and if we dont do anything about it we can get sick from it. SERVPRO of Central Glendale came and clean the loss up. 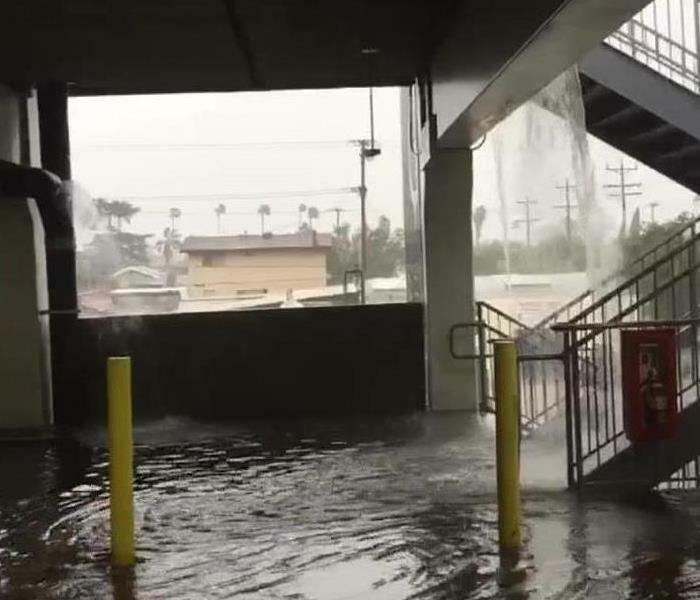 The picture shows the loss of a commercial building fromm a roof leak in Glendale, CA. SERVPRO of Central Glendale did an inspection and the next day they started to work. This location was located in Glendale, CA. The cause of loss was a roof leak in a commeical building. The owner was very surprised that we did the cleaning up so fast. This was the aftermath of a classroom in Glendale, CA. When we arrived to the location it still had a scent of smoke. The owner was pleased with us that we finished up in a week. This was the after picture of the classroom that got caught on fire. when we arrived to the school. There was damages on the whiteboard and materials. The owner was very impressed after we cleaned up the damages and thanked us for our hard work. Again, water damage is a big problem. 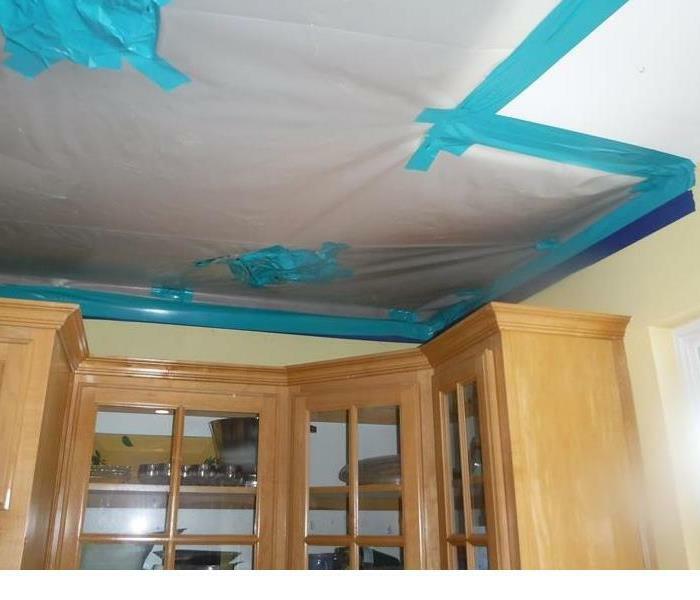 This Glendale house experienced water damage to the ceiling after a storm. 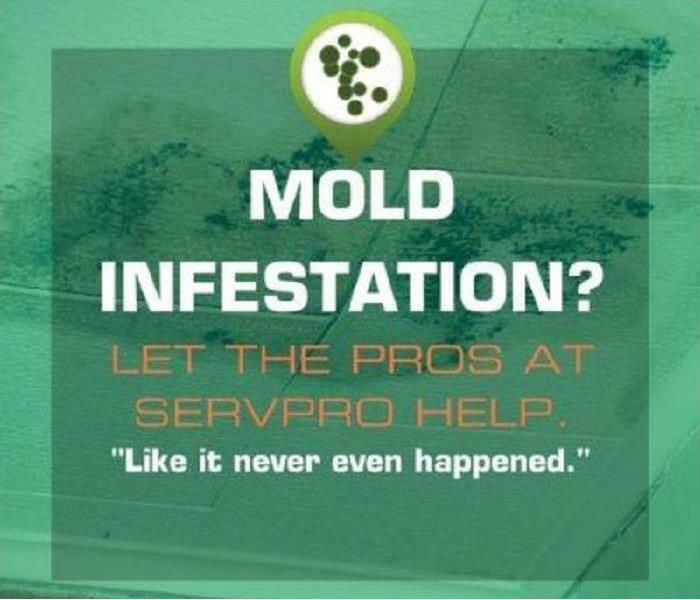 They contacted SERVPRO of Central Glendale to avoid running into other issues, such as mold. When it rains, it pours right? Water damage caused the ceiling of this house to discolor and weigh down. They called SERVPRO of Central Glendale so the ceiling would be restored the right away. 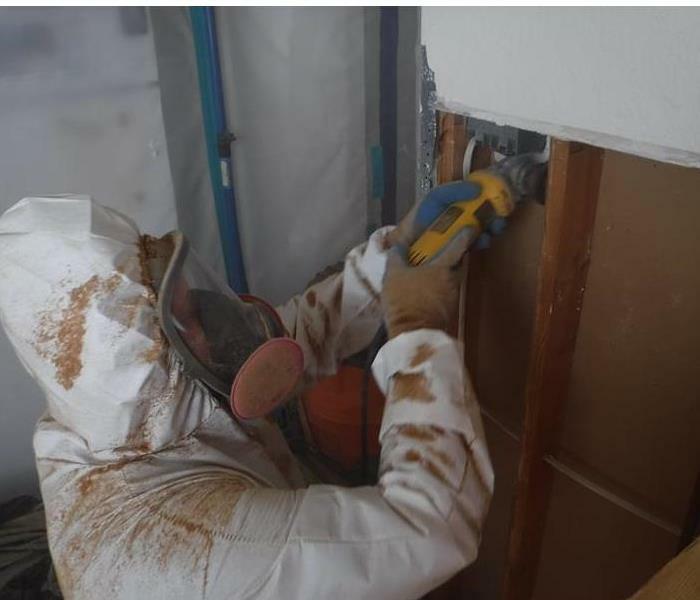 To avoid mold, it's important to hire professionals. We're lucky to not have too many storms in Glendale, CA. 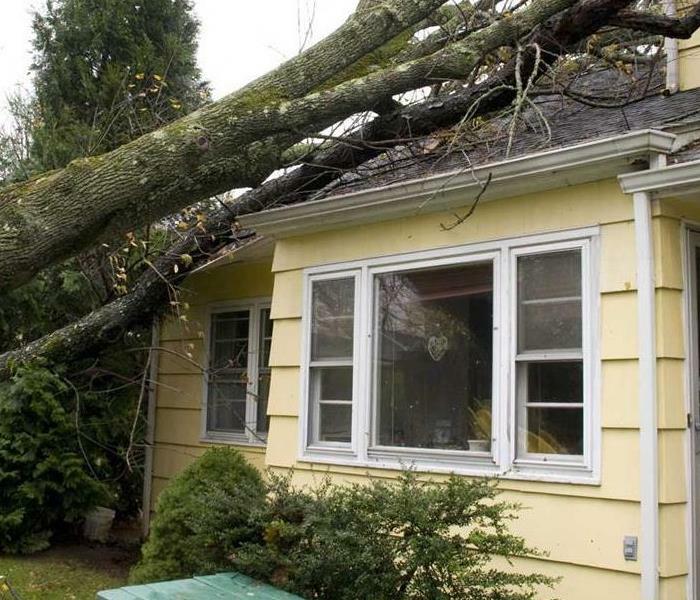 However, if you do come across storm damage in your house, it is important to start the claim process right away and get the damage taken care of. 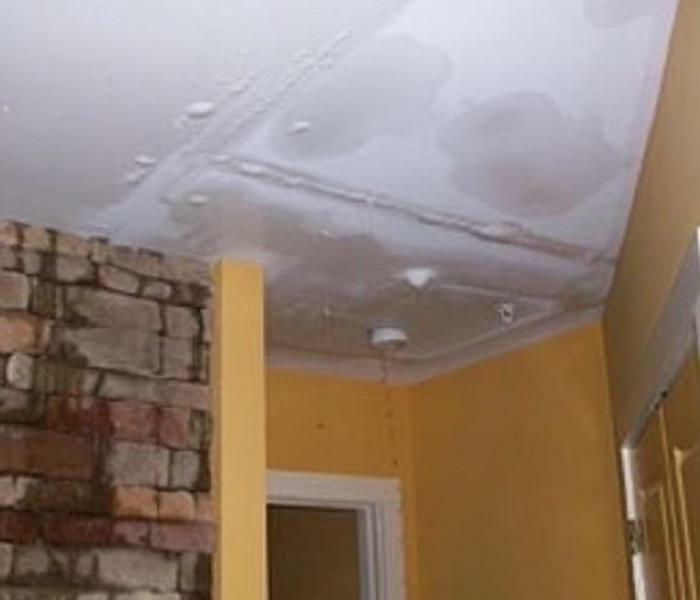 Unless a major water leak is the cause, ceilings are often difficult to spot water damage as homeowners often don’t inspect their ceiling regularly. For a small ceiling water leak you may notice slight discoloring spots, mildew, sagging ceiling, drips or slightly bulging drywall. If the water leak in your ceiling is large you will find water leaking through the ceiling onto the floor or even a visible hole where water can come through. 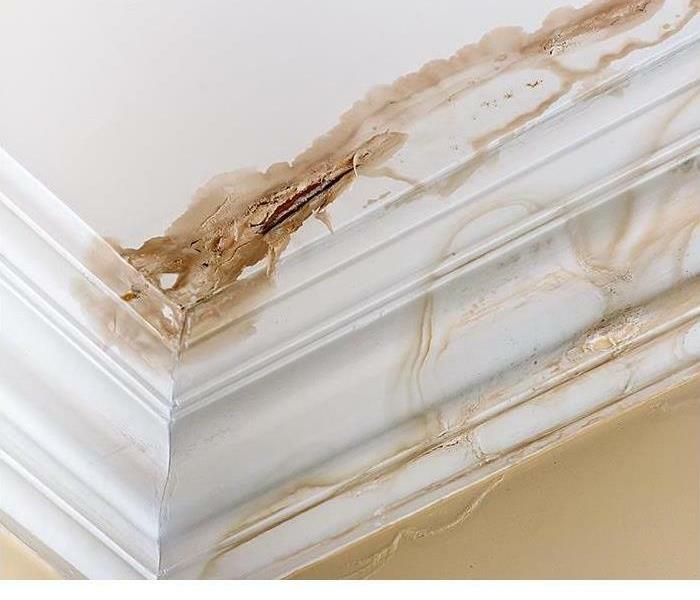 Repairing ceiling water damage, whether it’s the results of a broken pipe or torrential rain, is especially necessary for the health and overall upkeep of your home. 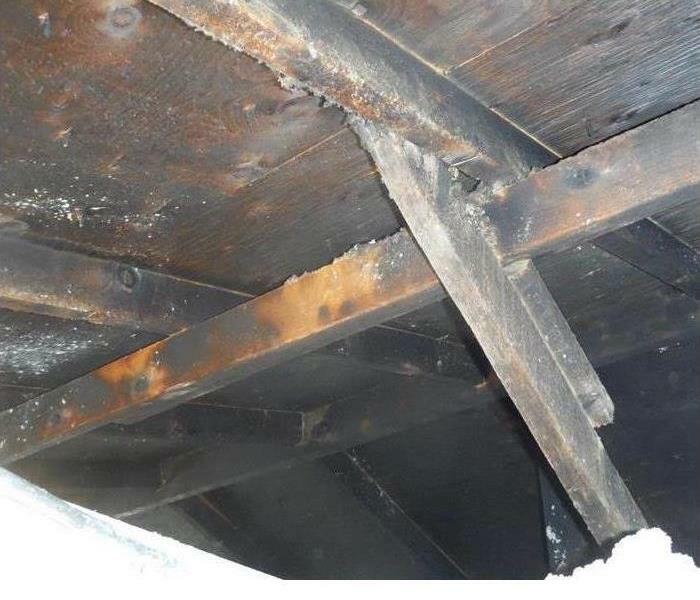 Left unaddressed, a water damaged ceiling will result in mold and a weakened structure. 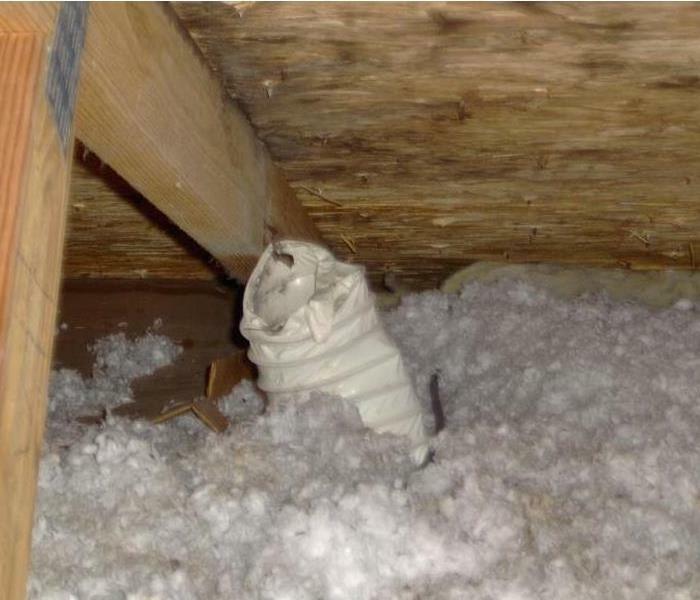 Whether the ceiling is made from drywall, plaster, or another material, nothing can protect it against leaking water. For this reason, it’s necessary to find a way to repair the damage once it happens. SERVPRO of Central Glendale is certified for these restoration needs. The parking lot at the Glendale Galleria flooded due to a storm a few months ago. It looked like a waterfall. When our SMR was doing her routes, she quickly realized that the parking lot was flooding as she was passing by. She was able to snap a few pics. The water eventually went away and fortunately no one was hurt and nothing was damaged. 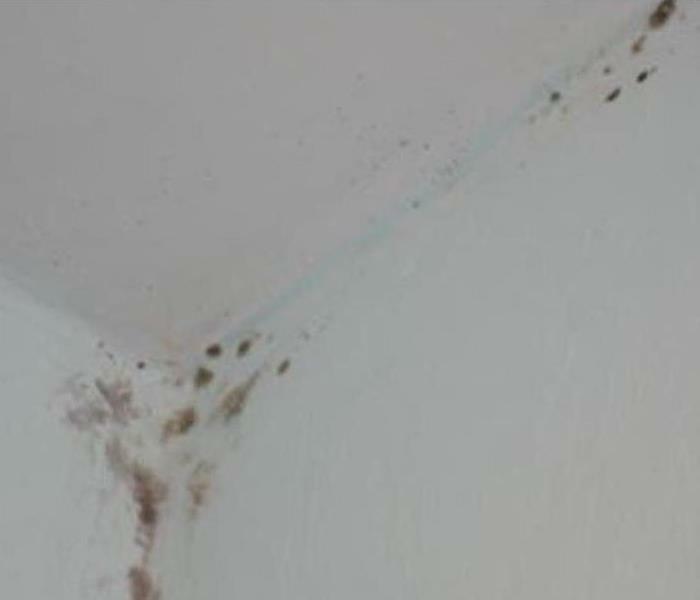 Mold often begins to grow in the winter, or more particular, when it rains for a few days. On these days, the level of humidity indoors and outdoors is higher than when it’s on warm or dry days. If your house doesn’t have a good ventilation system or you don’t take action immediately to decrease the humidity, like heating or drying, mold could grow. If you have water damage in your home and you do not have professionals take care of it, you may run into a problem like this. 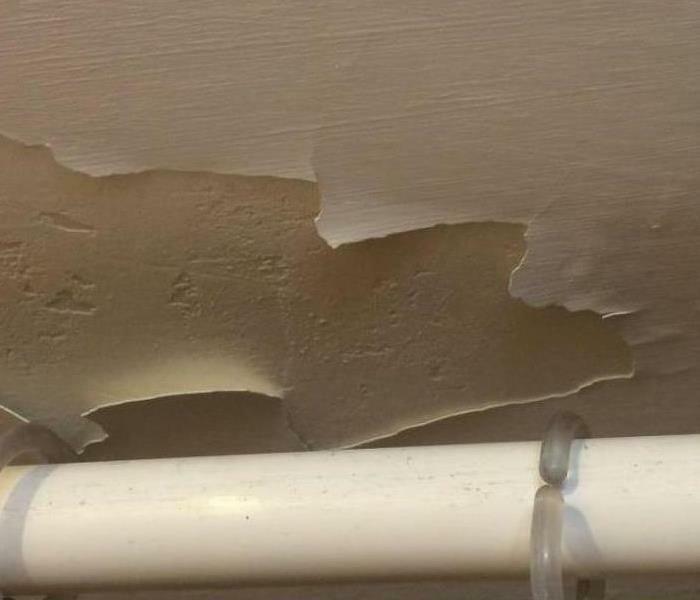 The water damaged the walls and because it was not dried using proper equipment, mold grew behind the wallpaper. This can affect your health in several ways. 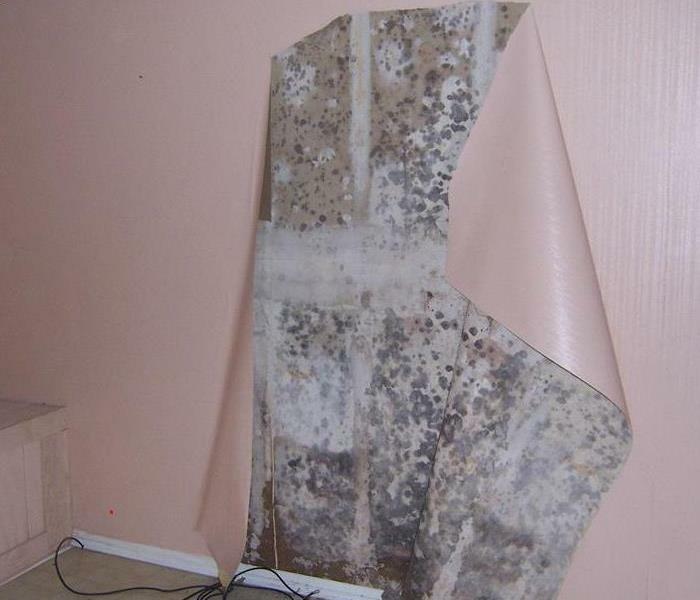 Mold in bedroom settings is particularly problematic because, while mold in any room of the home presents a health hazard, people often spend more time in their bedrooms than in any other room. You might spend eight hours in your bedroom at night, every night, while you might only spend an hour or so in the bathroom, another hour or so in the kitchen, and just a few hours in the living room. That means your exposure to mold may be significantly greater if there is mold in your bedroom than in some other room. This house suffered extensive fire damage. We provided high quality mitigation and remediation services to clean up and return this home to preloss condition. 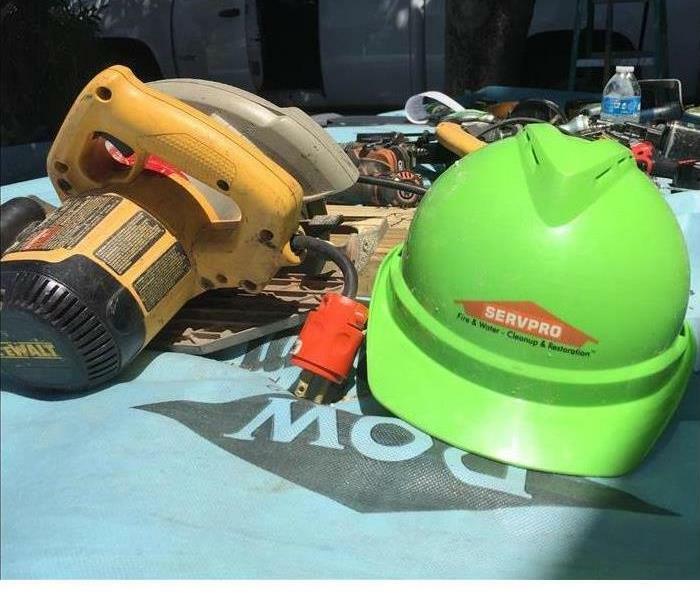 SERVPRO of Central Glendale provides fast, effective, and efficient restoration services to residents and businesses throughout Los Angeles. 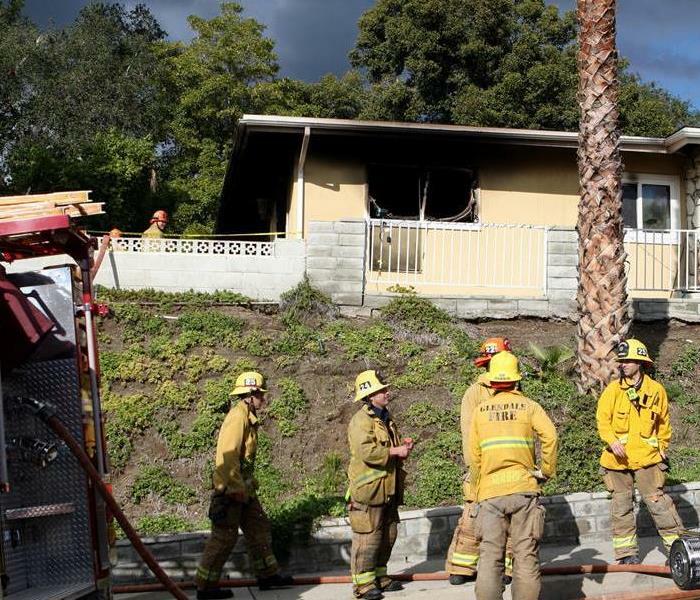 Investigators are looking into what caused a house fire in Glendale Friday morning, authorities say. Glendale firefighters responded to reports of a blaze in the 2600 block of Bogue Drive at around 9:50 a.m., and the fire was subsequently extinguished. Glendale police spokeswoman Tahnee Lightfoot said the home’s occupants were away at the time of the fire, and no injuries were reported. After a fire like this, it is hard to cope with all the loss. If the tenants are able to save anything from the home, it is important that they don't go in. Professionals are the ones who would go in prepared, with the right uniform and face masks, to recover left over items. A fast-moving brush fire grew to 3,000 acres in the Verdugo Mountains on Saturday morning, threatening homes and keeping the 210 Freeway closed. Hundreds of firefighters battled the blaze overnight and into the morning. At one point, the flames were spreading in four directions at once amid intense heat and wild winds. 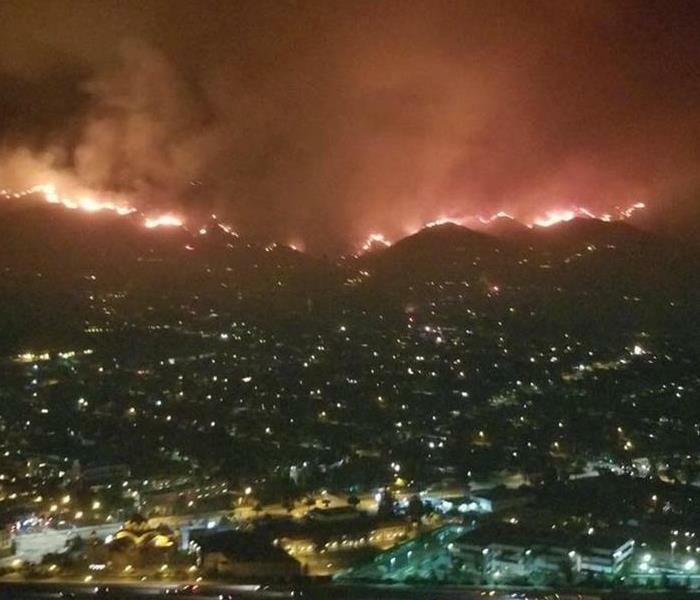 As of 5 a.m., no homes had been lost and no injuries had been reported, officials said. When the pipe on the third floor burst, the hotel manager quickly realized that this was an emergency. There were guests staying in the hotel and there was water everywhere, including the lobby. SERVPRO of Central Glendale arrived at the new hotel within an hour and began to work. The room where the pipe burst was also having issues with the toilet. As you can see, technicians removed the toilet to make sure the water stopped leaking during that time. Technicians worked hard to make sure the hotel was restored correctly after the water damage. If mold became an issue, the hotel would not be able to provide rooms to their guests. A brand new hotel in Glendale, CA was affected by water damage. The water damage started on the third floor and affected all other floors. The water damage went through the walls and even affected the floor. The walls had to be torn down to avoid mold. This is what the aftermath of a fire looks like. Exposure to smoke and soot during fire restoration may occur via the skin and eyes, inhalation, and ingestion. In situations such as this one, our crew goes in to clean up the ash and other hazardous material. The smoke is cleaned off walls along with the smell, which can also harm your health. Our technicians care about you and your needs. We work hard to get the work done efficiently. You can count on us for your emergency needs. 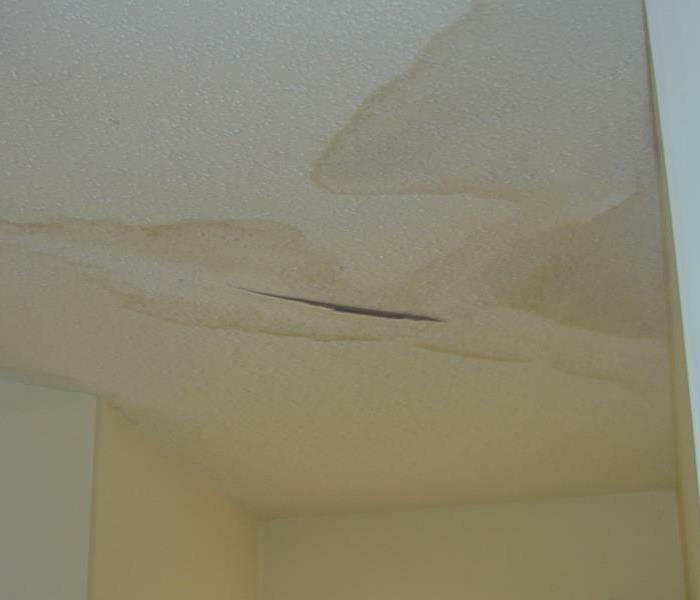 Here is a photo of water damage done to a ceiling inside of a home. As you can see, the color is brown and if not taken care of, will most likely turn into mold. Mold is very hazardous for your health and needs to me taken care of as soon as possible. 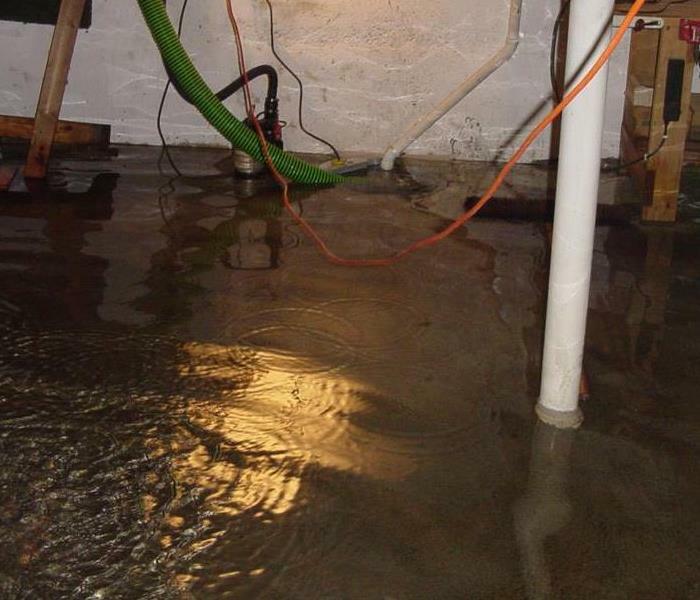 After the plumber has completed their work, SERVPRO of Central Glendale steps in to take of the cleaning, make sure there is so water damage, and make sure all the furniture is in perfect shape. Here, we can see a basement that has been flooded. A member of our crew working hard to get the job done efficiently. Water damage can extremely harm commercial buildings which can lead to mold. Water can also damage all the furniture and electronics. The owner was thrilled that we cleaned it up so fast. Our Marketing Department enjoyed a mixer event at CBRE in Glendale, CA. We introduced ourselves, and we told them what postion we are. We told them our ideas of what we are doing in marketing.